You may have settled on a date but that particular one may not be available. Check with the venue and finalise the date first. Also ask them how many other events will be booked on the same day. Is the venue easily accessible? Ample parking space is crucial. Check if the wedding venue has enough space to accommodate all your guests’ vehicles. In-house catering has hidden charges, you must enquire about the taxes and corkage fee. If you have a particular caterer in mind ask them if they allow outside caterers. If yes with or without royalty? 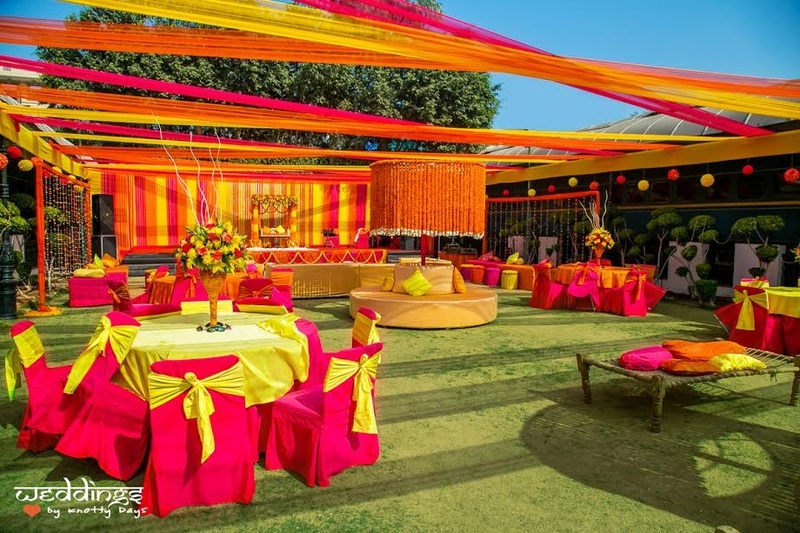 It is difficult to deal with a crappy wedding venue co-ordinator; you must know the staff well. Demand for on-site venue coordinator and ask about additional charges for the same. You want your wedding party to be the most happening one, right? You must enquire about the band or DJ set up. Ask if there are any noise restrictions and time-limits. You must know the details of the services you are paying for. Are the rentals, catering, parking and decoration included in the fees? How much and by when do you need to pay the deposit? Also, ask about the cancellation policy - to be on the safe side.